The TERRAULTRA launched with great fanfare back in June and we took a first look at it. Now we’ve run over 200 miles in the shoe so we thought it was a good opportunity to give it a more rigorous review. So there’s a lot of hype about these shoes. Do they live up to it? One word: wide. 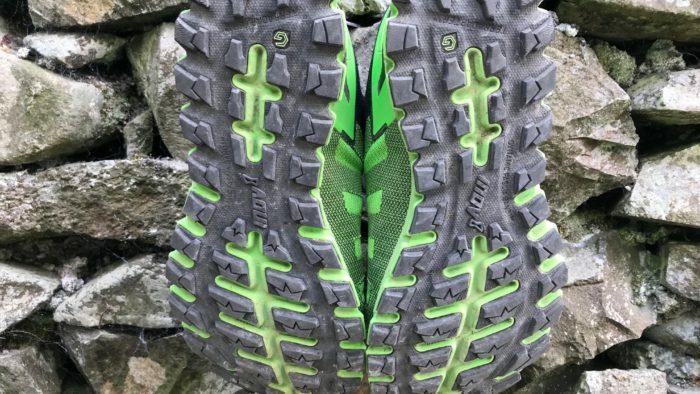 These shoes are designed for long runs on hard-packed terrain (think races on hard trails like UTMB – this is the shoe Damian Hall ran to 5th place in UTMB wearing this year – or Transgrancanaria, or trail races that aren’t too muddy) and as such, they allow for your foot to spread and move naturally. They are built for comfort and they certainly deliver that. When I first put them on I found the upper slightly stiff and that irritated my foot just above my big toe a bit, but that soon went and I think it’s just because they are a tiny bit too big for my feet at the front. 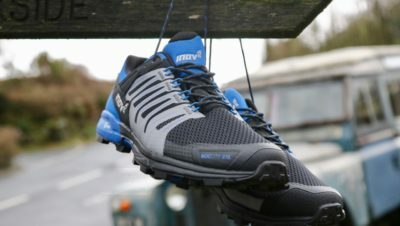 I’ve run a trail marathon in them and I’ve done a lot of long runs in them, with the longest being 40 miles, and I’ve found them incredibly comfortable from the off. There isn’t a different version for men and women – does this matter? I didn’t find any issues with it. Women’s shoes can have slightly different construction to men’s (though often it’s just a different colour). However, in practical terms it’s all about finding the right shoe for you. So, if you’re a woman or a man who likes a wider fit for long runs, this shoe is worth trying on to see if it’s comfortable. The heel is nice and snug and my foot doesn’t slip around at all. This is one of the key strengths of this shoe. The super tough sole gives you good grip and confidence over anything rocky, gravelly, foresty, or muddy within reason. The lugs are 4mm and the grip is easily on a par with the TRAIL TALON, though the shoe is 30g lighter. I can honestly say that after over 200 miles there is no discernible wear on the soles, even on the heel where you’d expect to see a little bit. 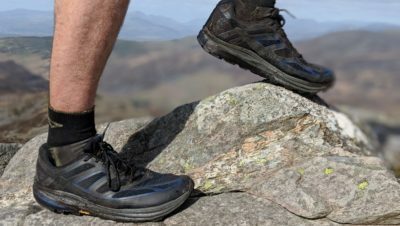 But what’s the benefit of a long-lasting sole if the upper falls apart? 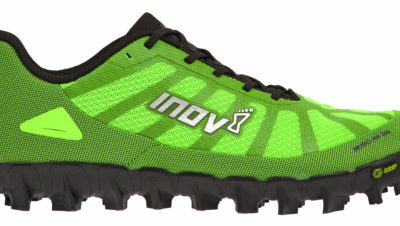 This is a good question and inov-8 have taken criticism for wear and tear on some of the uppers of previous models. But this was clearly a big factor for them in designing the TERRAULTRA because they’ve gone to town on making the uppers long-lasting. They’ve used Kevlar (material used in bulletproof vests) in the uppers, which makes them incredibly tough but still light and breathable. The real cynics amongst you may say ‘but what good is Kevlar if the stitching comes undone?’. This is true but as far as I can see the stitching is also very durable. I’ve had no issues with the stitching whatsoever. For me the best thing about this shoe is its stability. The width and I guess the fact that it’s zero drop make it feel really stable on the trail. When I wear comparable models of trail shoes now I do feel like I’m more likely to turn an ankle, now that I’m used to the TERRAULTRA. The width and stability definitely enhance its comfort for me too. This is about as scientific as the Pepsi taste test but I just did back to back long runs, wearing another shoe on day one and the TERRAULTRA on day two and I felt much more confident and comfortable on day two (despite the fact that my legs were tired). I really liked the RACE ULTRA and the TRAIL TALON and this shoe is definitely in that vein. A wide fit, comfortable, very cushioned, light, great for long days out but with one key difference – a much more durable sole and upper. 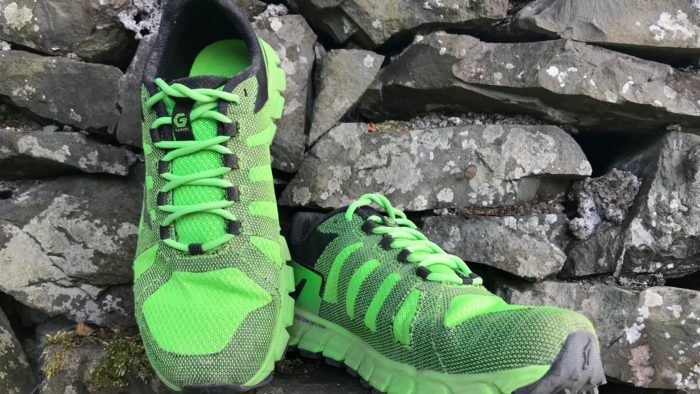 The downside is that you pay for this – it retails for £140, so approximately £20 more expensive than similar shoes – but if it lasts a few more hundred miles then that’s surely worth it. My first impressions of this shoe were really good, now I’ve run in them for a couple of hundred miles they’re even better. This is definitely one to come back to and do a 500 mile review, to see if they really will outlast your average trail shoe. Do they live up to the hype? For me, yes. 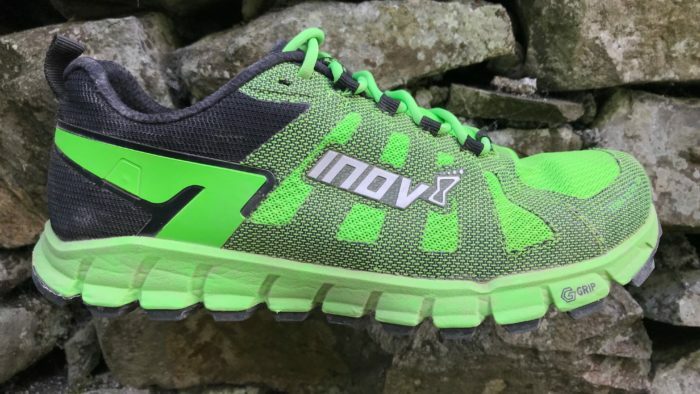 Find out more about the inov-8 TERRAULTRA here. The new G-Series MUDCLAW is coming end of 2018/beginning of 2019 and we will take a first look at them soon.